Where are the cheapest homes in Spain? You certainly don’t need to spend a fortune to enjoy the wonderful Spanish lifestyle. Although the economy has been steadily climbing upwards for a number of years now, property is extremely affordable. If you know where to look, you can find homes thousands of euros below the average property price. 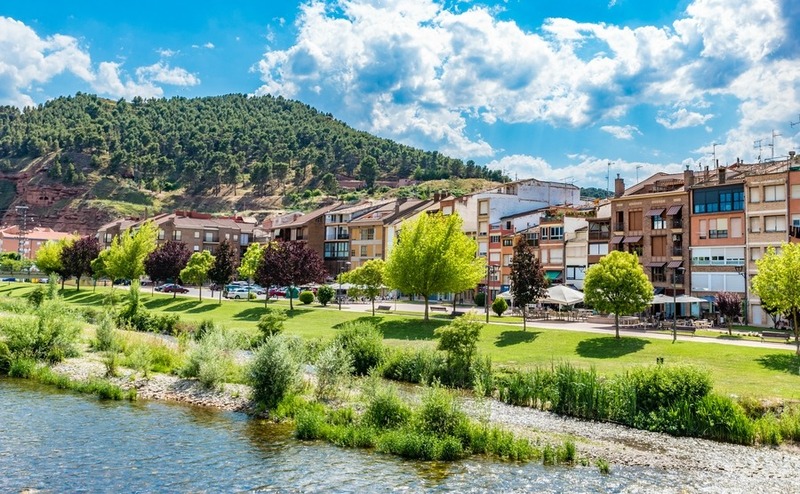 Keep reading to discover where to find the cheapest homes in Spain. Almería has an unbeatable location, with the sea, mountains and the historic city of Granada all close by. Despite this, it still has some of the cheapest homes in Spain. 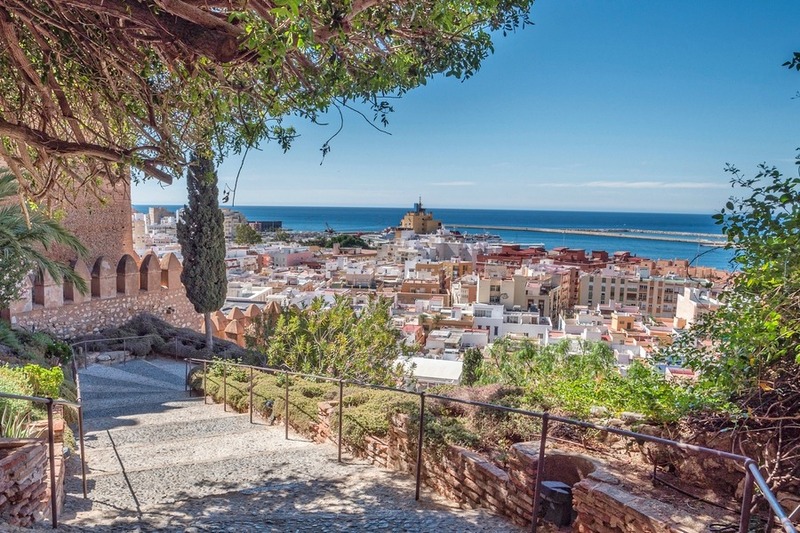 Almería is often overlooked by international home buyers, which is a shame as it’s charming. Its gently winding cobbled streets and bustling central market – aimed at locals rather than tourists – gives it a ‘lived-in’ feel. If you know where to look, you can find homes thousands of euros below the average property price. You’re spoilt for choice here beach-wise: the Playa de San Miguel-Zapillo is right in the centre, while the district of Nueva Almería also has its own beach. Alternatively, make a day of it by heading out to the Playa de Mónsul. This is a huge beach completely free of development, due to its location in the Cabo de Gato Natural Park. Speaking of natural parks, Almería is surrounded by fantastic nature. Did you know that you can ski in Andalusia? You’re just two hours’ drive up into the Sierra Nevada to the Sierra Nevada Station. The Sierra Alhamilla is just an hour away, with plenty of unspoilt hiking trails. Finally, for culture-lovers, the magnificent city of Granada is just under two hours’ drive away. And all this with some of the cheapest homes in Spain! Castellón de la Plana, or Castelló de la Plana in Valencian, is a medium-sized city of around 170,000. Its main square, Plaça Major, is surrounded by historic buildings, including a gothic cathedral. With more than 300 days of sun a year, there’s plenty of time to sit out in one of the many streetside cafés. The city’s main beach, Solé Rototom (try saying that quickly), backs onto a beautiful green park, making a change from the built-up nature of parts of this coast. Castellón is famous for its festivals and music, as well as the more traditional Magdalena, a three-week Easter fiesta. Although the surrounding area is mainly rural, access is simple. You’re just 44 minutes by train or an hour by car to the city of Valencia, with all its shops and nightlife. From there, you can find flights back to Gatwick, East Midlands, Bristol, Manchester and more. 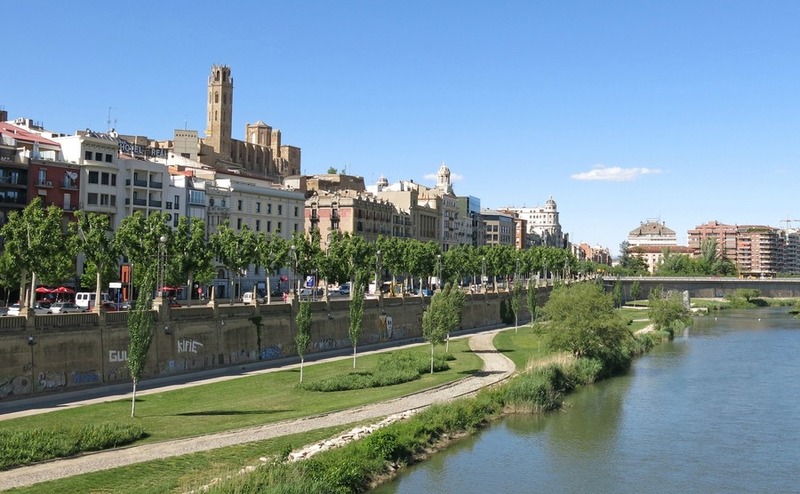 Lleida’s further inland, offering a quiet lifestyle. Lleida, or Lérida in Spanish, is a popular city in the interior of Catalonia, west of Barcelona. A former capital of culture, it’s dominated by the old citadel-cathedral towering over the town. There are lots of traditional festivals year-round, including Sant Miquel, Festa Major and L’Apec. The ‘twelve giants’ preside over many festivities – the oldest two in use date from the 1800s. The Eix Comercial, below the Old Cathedral, is the main shopping street. You’ll find all kinds of boutiques and restaurants here. Head to Els Vins to find the majority of the town’s bars. The climate here’s unsurprisingly cooler than Almería, or Castellón. This means it’s perfect if you don’t like extremely high temperatures. This is a mainly Catalan-speaking area. Essentially everyone is bilingual in Spanish, but locals really appreciate it when expats try out a few phrases in Catalan too. It may be surprising given the stunning location, but Torrevieja offers some of the cheapest homes in Spain. 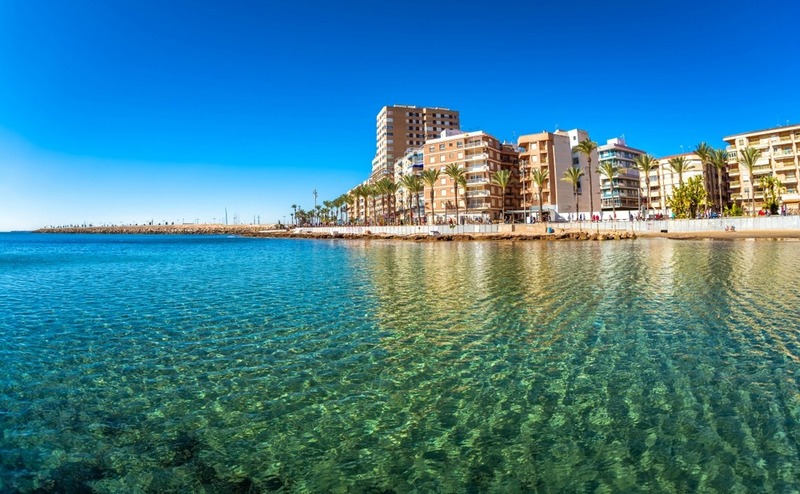 Torrevieja lies on the Costa Blanca, with fantastic beaches within easy reach. Its location between the sea and two salt lakes gives it a particularly healthy climate. It’s a great choice for golfers. That’s because it not only has some of the cheapest homes in Spain, but also 12 golf courses. It’s a popular resort, so there’s something going on year-round. The Playa de la Cura and Playa de los Locos are popular beaches and districts for expats. More ‘Spanish’ areas are the Playas de los Náufragos and the Playa del Acequión. 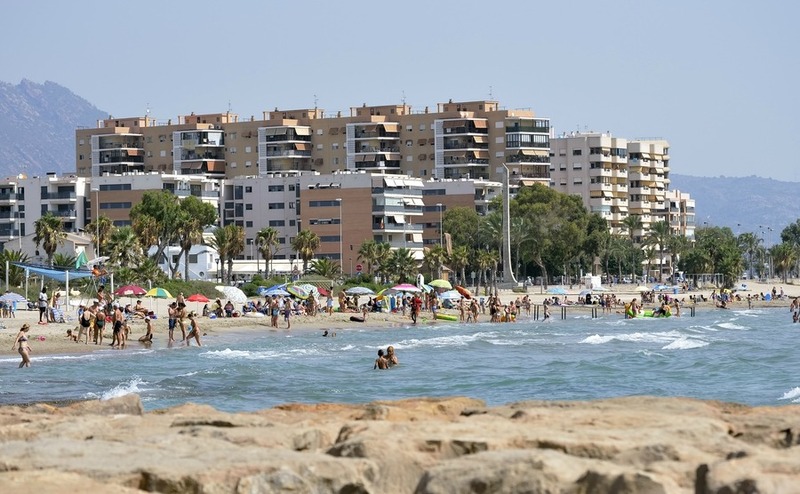 However, not all the Spanish residents are from the area – the towns nicknamed ‘Playa de Madrid’ for the number of Madrilenos who’ve moved from the capital to Torrevieja. You’re equidistant here from Alicante, Murica and Cartagena – so getting back to the UK’s a breeze. Don’t get caught when negotiating for your price – discover our guide, How to Negotiate Abroad. Nájera is a world away from the bustling Costas. Here in the region of La Rioja, you’ve got everything a wine-lover, nature-lover and seeker of authentic Spain could want. The region lies to the south of the might Ebro River. It has produced wine since Roman times – and this is still the main industry. Nájera’s in the middle of the region, on the pilgrim route to Santiago de Compostela. Here in the region of La Rioja, you’ve got everything a wine-lover, nature-lover and seeker of authentic Spain could want. Life here’s much slower than on the busy costas: everything revolves, one way or another, around wine and rural activities. Property here’s very inexpensive: you can buy a lovely, large house with a courtyard for the price of a two-bedroom townhouse elsewhere in Spain. 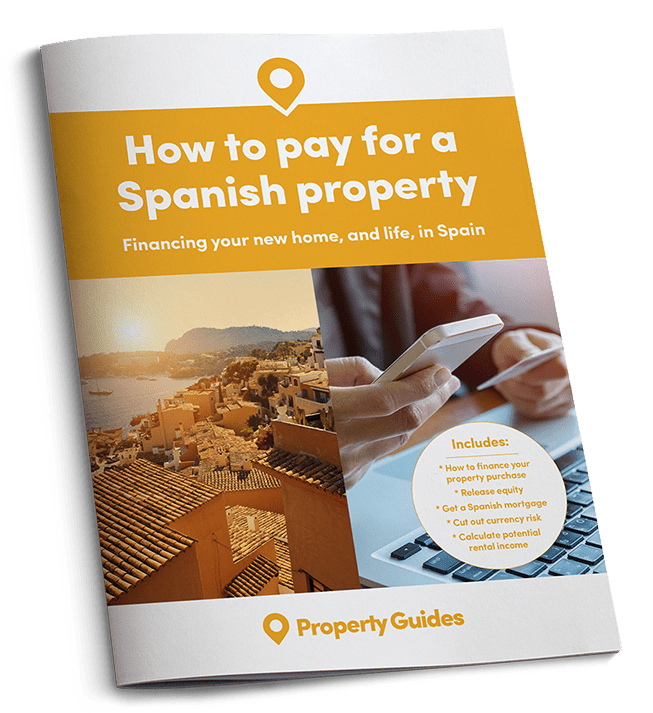 Thinking of buying in an area with the cheapest homes in Spain? If you’ve been inspired to buy in one of these wonderful areas, it’s easy to get started. 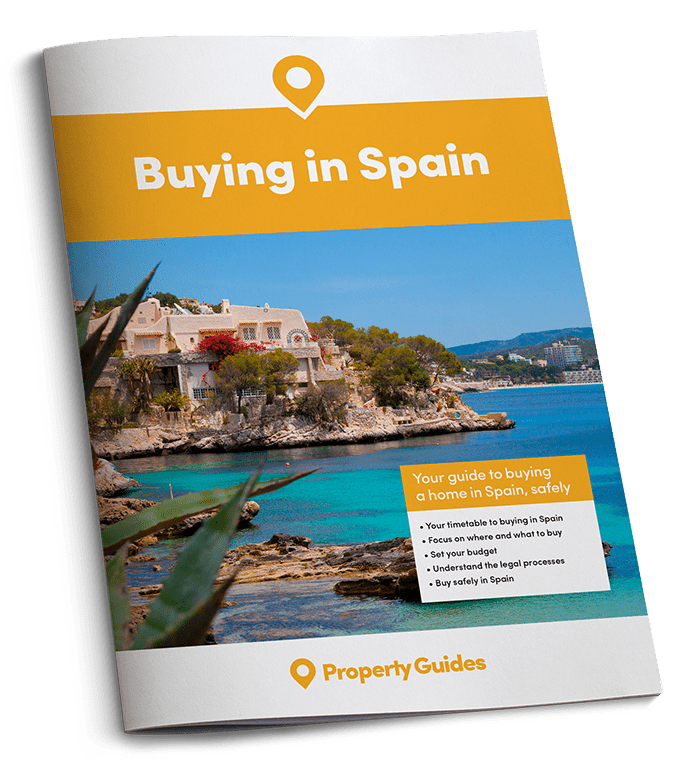 Just download your comprehensive Spain Buying Guide below to get all the expert information you need in one place. Spain’s market is heading up, so now really is the time to purchase if you want a bargain.